The Western Ghats are a mountain range along the western side of India. These mountains are notable for their rich verdant cover, spectacular valleys and rushing rivers. Western Ghats also enshrine several reputed and ancient temples where millions of devotees offer their worship every year. While the Western Ghats are spread over several Indian states, this travelogue focuses on the temples in the state of Karnataka. 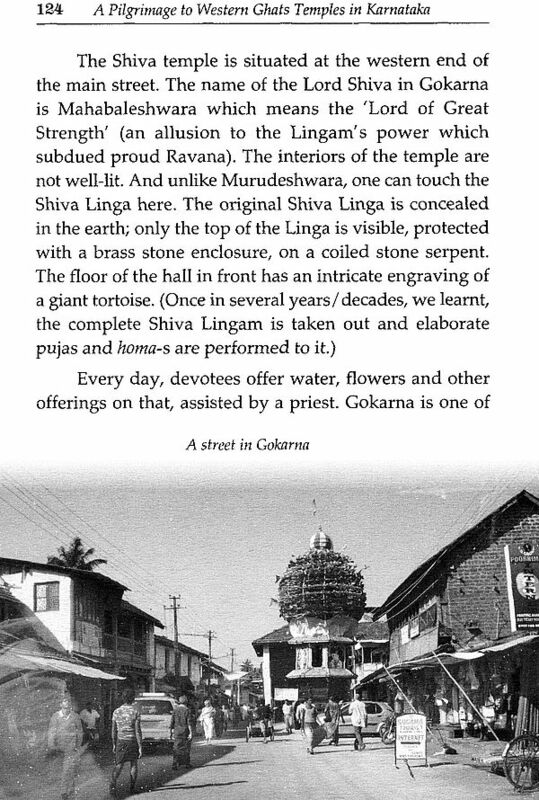 This travelogue provides a brief history of some of the centres of pilgrimage along with a description of their spiritual, cultural and architectural features. 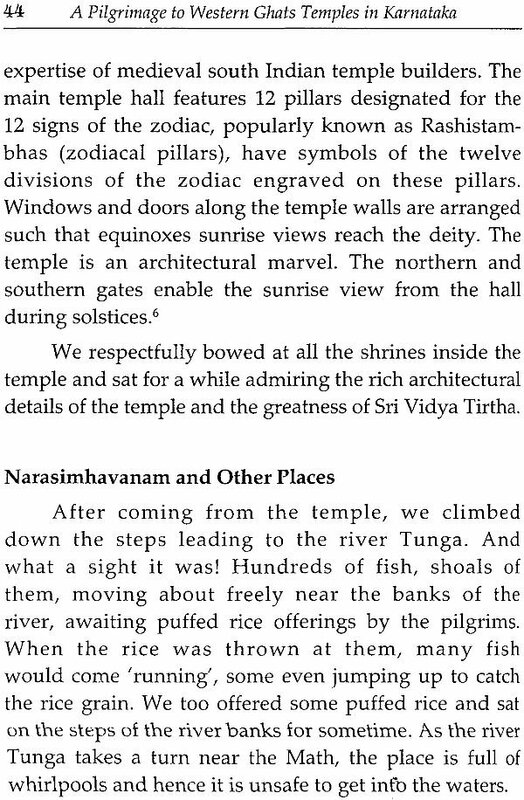 This book introduces the readers to India's living spiritual tradition enshrined in these temples. The Western Ghats or the Sahyadri are a mountain range along the western side of India. A UNESCO World Heritage Site, these mountains are notable for their rich verdant cover, spectacular valleys and rushing rivers. 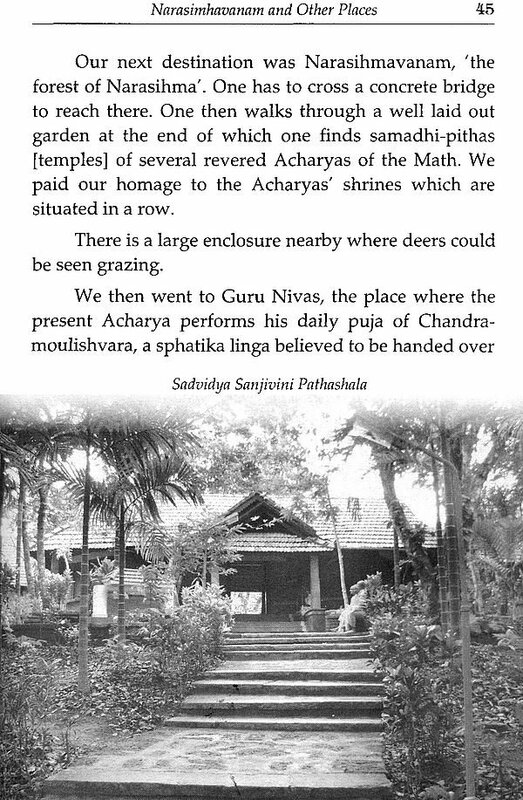 While Western Ghats are a home to numerous species of flowering plants, trees, mammals and birds, they also enshrine several reputed and ancient temples, big and small, where millions of devotees offer their worship every year. 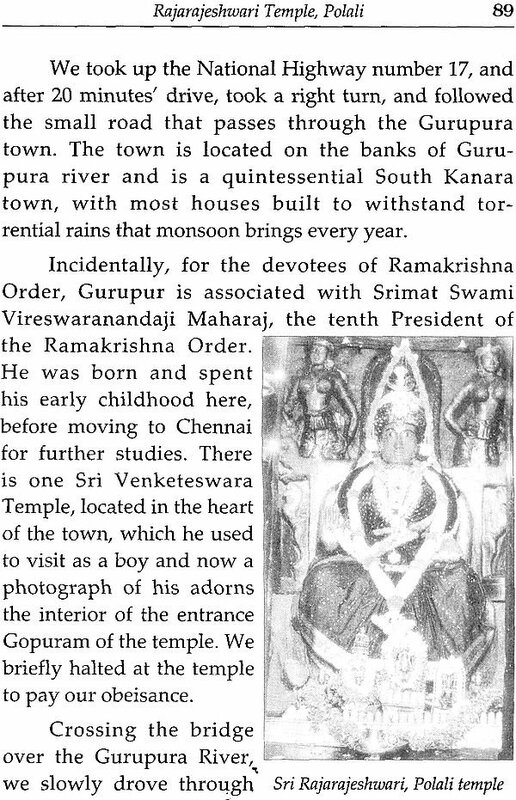 The following travelogue appeared as a series of articles from September 2011 to May 2012 in The Vedanta Kesari, the spiritual and cultural monthly published from this Math. While the Western Ghats are spread over several Indian states, this travelogue focuses only on the temples in the state of Karnataka. The travelogue provides a brief history of some of the well-known centres of pilgrimage along with a description of their spiritual, cultural and architectural features. 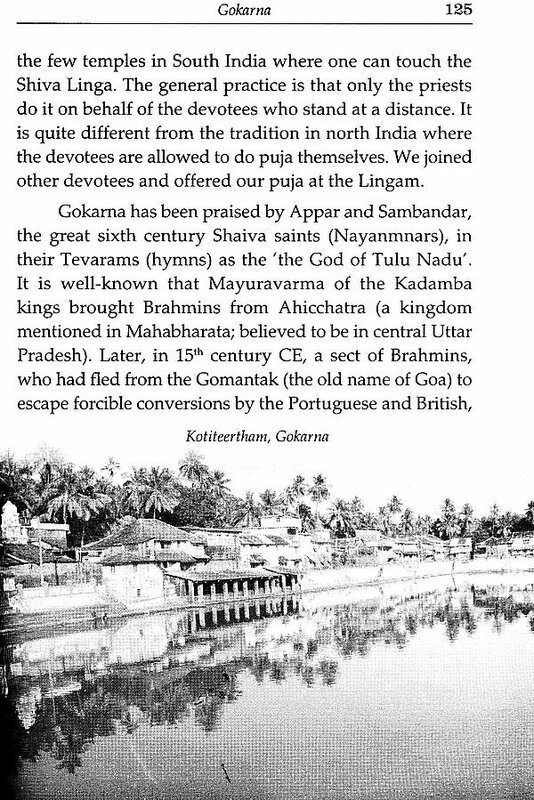 This travelogue is now being brought out in this form for the benefit of larger readership. The narrator is monk of the Ramakrishna Order and editor of The Vedanta Kesari. 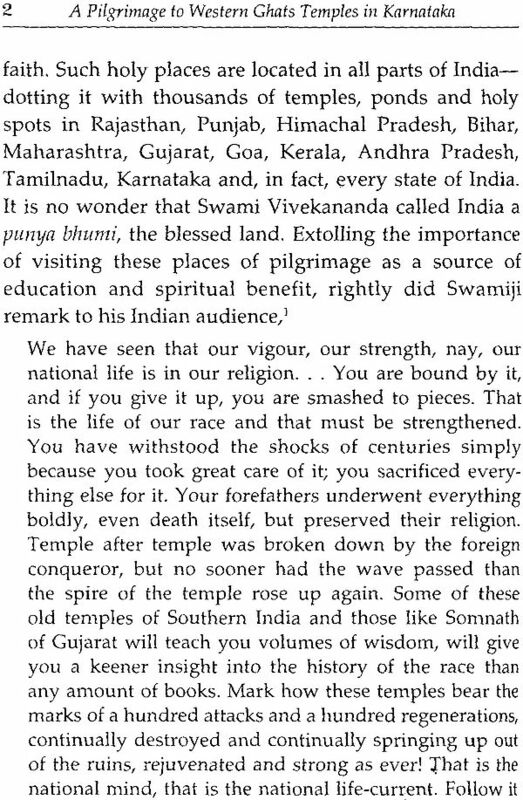 His earlier travelogue on Rameshwaram and Kanyakumari written on similar lines was published from this Math in 2010. 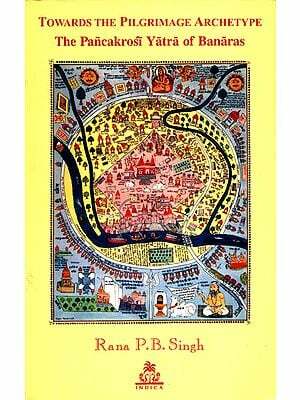 This slender volume, we believe, will appeal to everyone interested in knowing more about India's priceless and living spiritual tradition that these temples embody.